The covenant that God had with the people of Israel of old through the father figure Abraham came to be ratified by our Lord Jesus Christ in the new testament. Jesus Christ became the mediator of a new covenant between us and the Father. Everything that he did from his birth to His death was for our own good and for that we should praise and glorify Him. The people in the gospel reading of today accused Jesus that He has a demon simply because He was telling them the truth that they seem not to know and could not comprehend. Because they hardened their heart they could not understand that Jesus has come from the Father and has the mission to do the will of the Father and to show the people who the Father is. We must not be like the Jews who rejected Jesus, instead we should open our heart to accept His message and let it take root in us in order to bring the necessary transformation that we need to have eternal life. The Word of God is truth and we must believe in the one He has sent. We must not let our selfishness and pride block us from opening ourselves to the message of Christ that will bring us freedom, joy and peace and the grace to pursue righteousness. 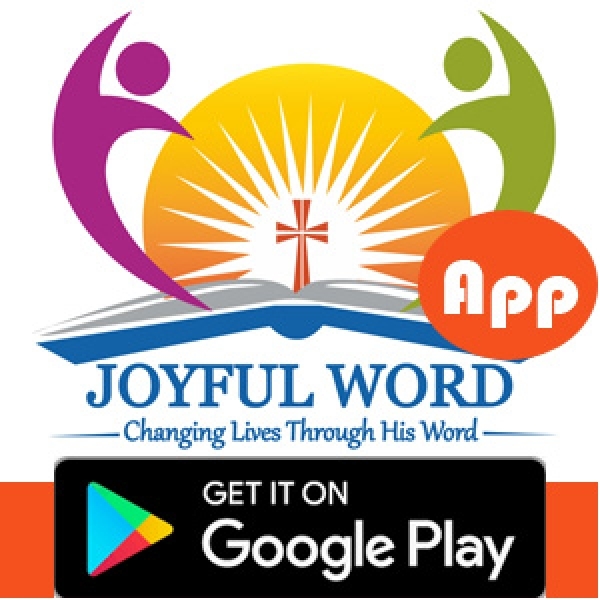 Develop the habit of reading and meditating on the word of God daily and you will definitely have the insight into who God is and what His purpose for your life is. Believe in Jesus and let His word take root in you and you will live a life worthy of your calling. Good morning dearest one. SmileðŸ˜Šas you do your work and do have a blessed day. May your trust in God grow everyday and may Jesus be your best friend. Amen. And May the Almighty God bless you: the Father and the Son and the Holy Spirit. Amen. 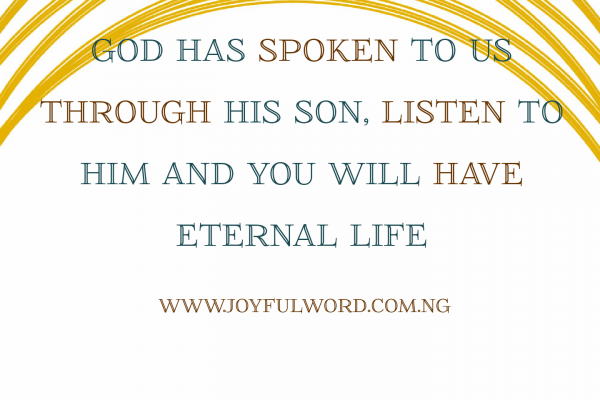 God is still speaking through His Son, open your ears to hear Him and act accordingly and you will find life.